Center City District Restaurant Week continues through September 23rd. The celebration offers various meals at over 100 restaurants for reasonable prices ranging from $20-$35. Fringe Arts Festival rolls through September 24th. The festival showcases over 1,000 artistic performances and has several post-show parties and events. The Philadelphia Jazz Festival begins September 14th and ends on Sunday, September 18th. Hosted at four venues (Relish, Warmdaddy’s, Paris Bistro, and south Jazz Parlor), the event highlights the best in jazz music and brings it to the doorsteps of our beloved city. Based off the late-90’s hit film Love Jones, this play brings great singers such as Chrisette Michelle, Marsha Ambrosius, and Philadelphia’s own Musiq Soulchild to the stage. The play runs from September 14th through September 19th. Where: National Constitution Center, 525 Arch St. The United States Constitution was created on September 17th, 1787. 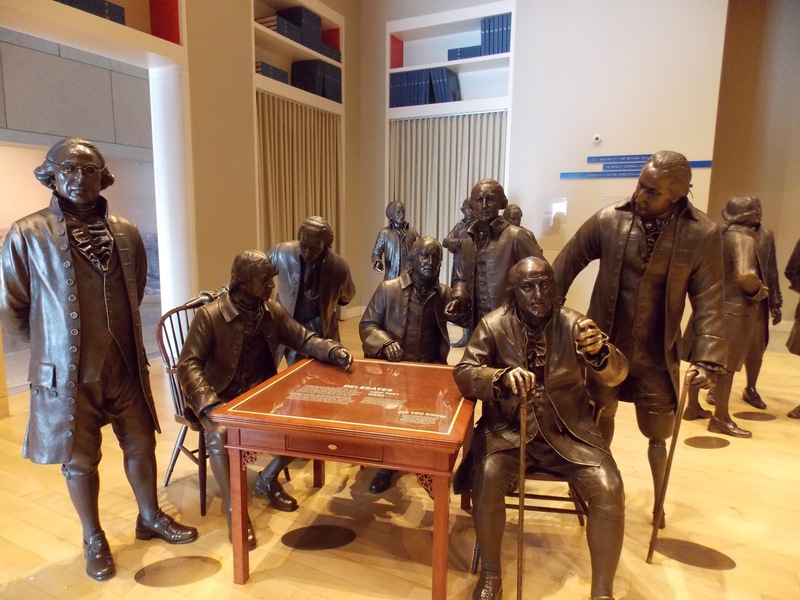 To commemorate this achievement, the National Constitution Center will be observing the occasion this Friday. There will be a preamble challenge, a flag raising ceremony, awards, games and activities, arts and crafts, and other workshops. The celebration runs into the afternoon and wraps up with various discussions and challenges. Entry to the establishment is free but be sure to register as spots fill up quickly. Call 215-409-6800 to make a reservation. Where: Rittenhouse Square, 18th and Walnut Street. In its 89th year, this fine arts showcase spans three days. It’s the longest-running outdoor artwork show in the country. 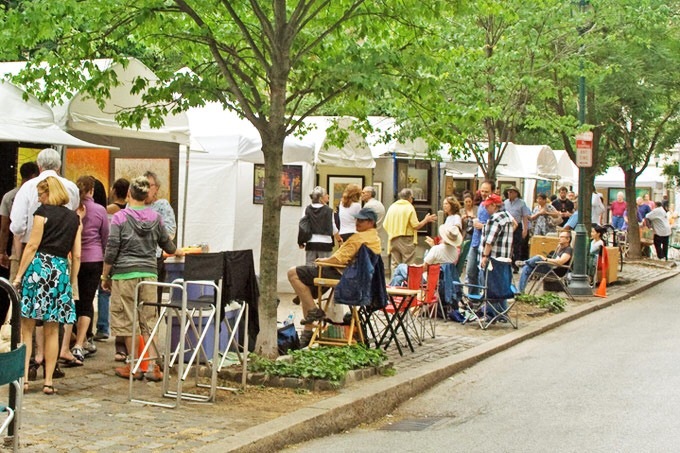 Presented by the Rittenhouse Square Fine Arts Association, this assembly will highlight an assortment of artistic mediums, subjects, techniques, materials, and more. There will be over 100 artists from across the country displaying their work, including students. 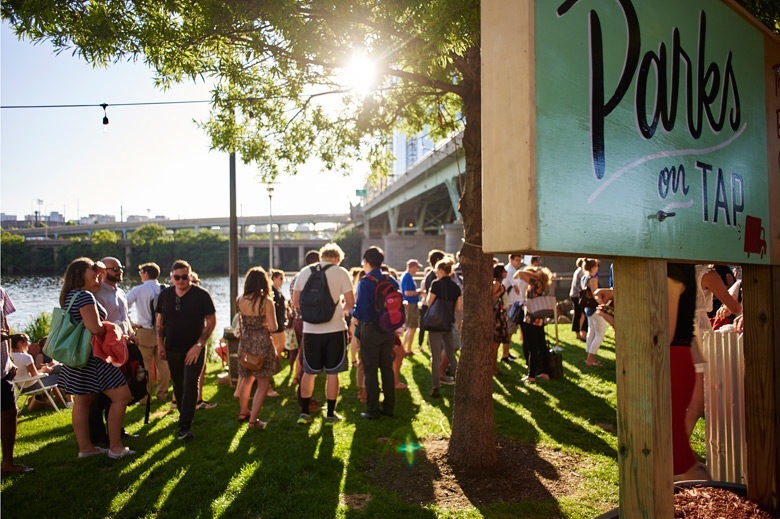 Where: Spruce Street Harbor Park, 301 S Columbus Blvd. 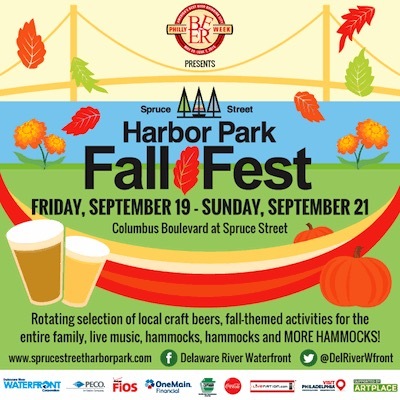 To get everyone in the fall spirit, Spruce Street Harbor Park will be having a Fall Fest that begins Friday, September 16th and runs through Sunday, September 18th. There will be pumpkin carving, seasonal beers, arts and crafts, and a wide selection of pumpkin themed and flavored food. There will several brewery companies in attendance all three days and live musical performances. Where: Mt. Pleasant Mansion, 3800 Mt Pleasant Dr. Between September 16th and September 18th, Parks On Tap comes to Mount Pleasant Park. This location jumping beer garden and gathering services attendees with craft beers, food from Mitch Prensky of Global Dish Caterers and Scratch Biscuits, live music, and yoga classes on Saturday. Indego Bike Share provides several locations to coordinate friendly rides with your crew. Activities can be found here. 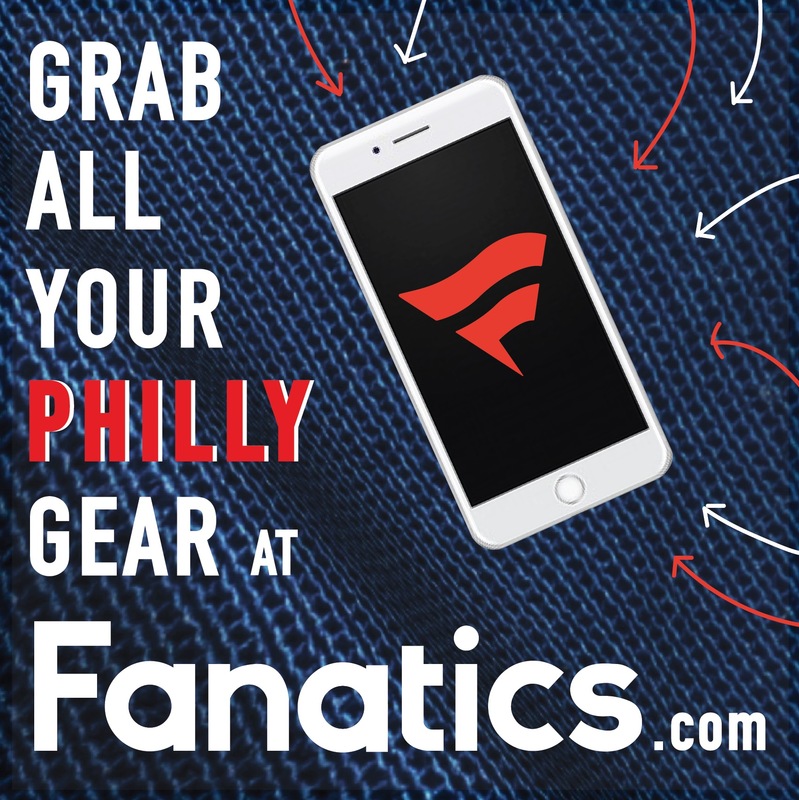 Where: The Barnes Foundation, 2025 Benjamin Franklin Parkway. BlackStar joins with The Barnes Foundation this Friday evening to lead a two-part program celebrating music, art, film, and culture. Tickets are $40 and for members $20. Starting at 6PM, Jamyla and Pieree Bennu, will helm a panel discussion moderated by the founder of BlackStar, Maori Holmes. 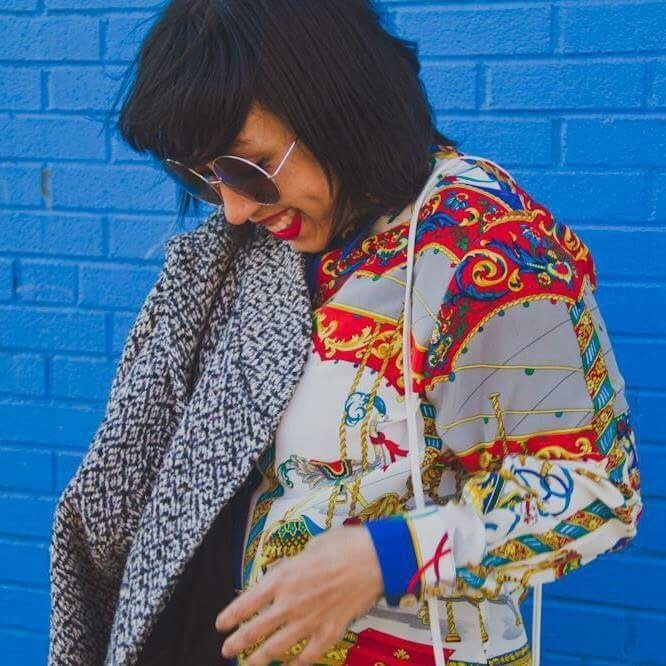 There will also be an after-party including a live urban folk performance by Kyp Malone and DJ Ultraviolet will also spin the latest in hip-hop music. Tickets and info available here. Where: Eastern State Penitentiary, 2027 Fairmount Ave. 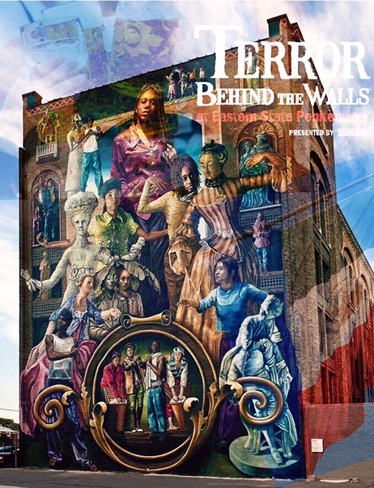 The kickoff date for this yearly horror takeover of the historic Eastern State Penitentiary is this Friday. The fear-filled haunted prison setup sends chills and panic through the bones of all who attend. 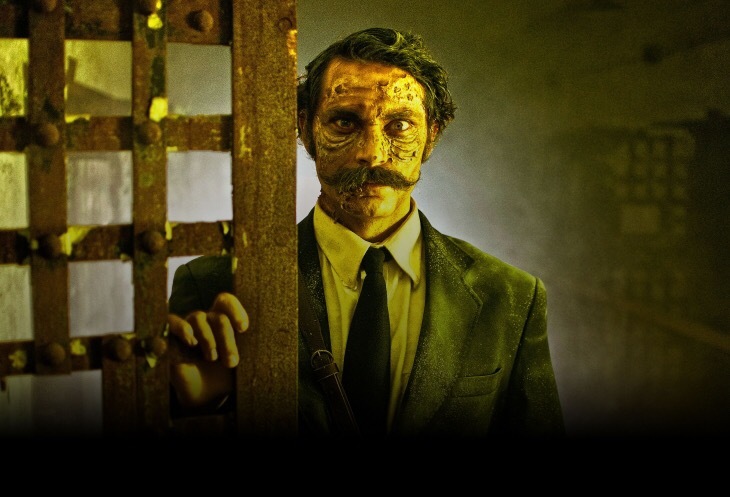 The old reformatory institution is packed with sinister costume wearing actors, tremendous graphic props and sound effects, and more. Ticket prices range between $19 and $45, dependent on the time and date you decide to risk it all and attend. Info and tickets available here. Where: Yards Brewing Company, 901 N Delaware Ave.
Yards Brewing Company sponsors this City Kitties centered fundraiser. A single tickets gets you access to the event and all the Yards Beer you want. There will food trucks, outdoor seating, raffle prizes, and a massive selection of drinks. City Kitties is a nonprofit organization seeking to enhance the lives of stray cats within the city. Tickets are sold out, but more may become available before the event, so check here. Where: Theater of Living Arts, 334 South St. The Kickback Series, sponsored by Miller Light takes over The Theater of Living Arts this Friday. 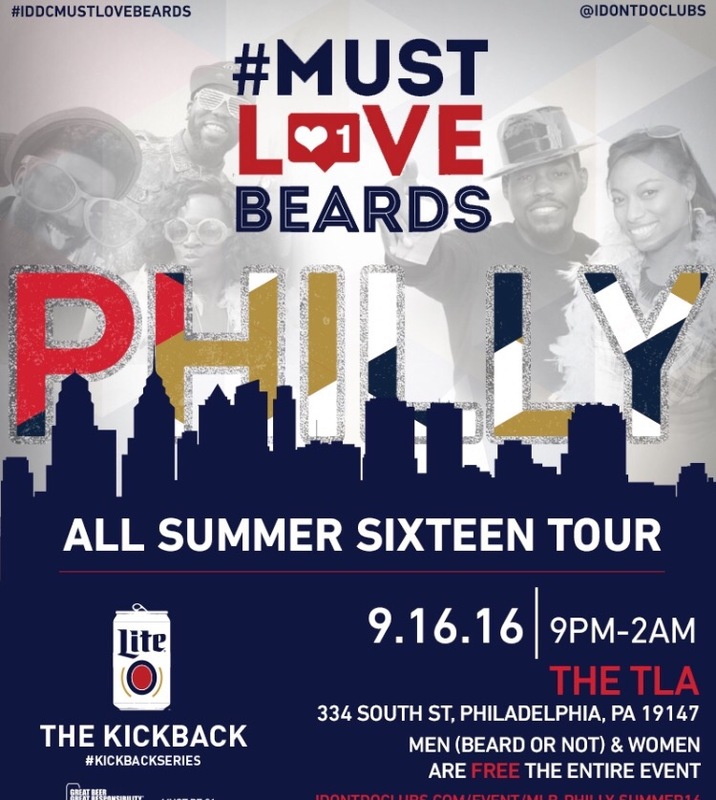 This travelling nationwide party graces the streets of Philadelphia for the first time. The TLA is one of the city’s well-known concert venues. This complimentary party, fronted by Miller Light, will be great and fun way to spend your Friday night. 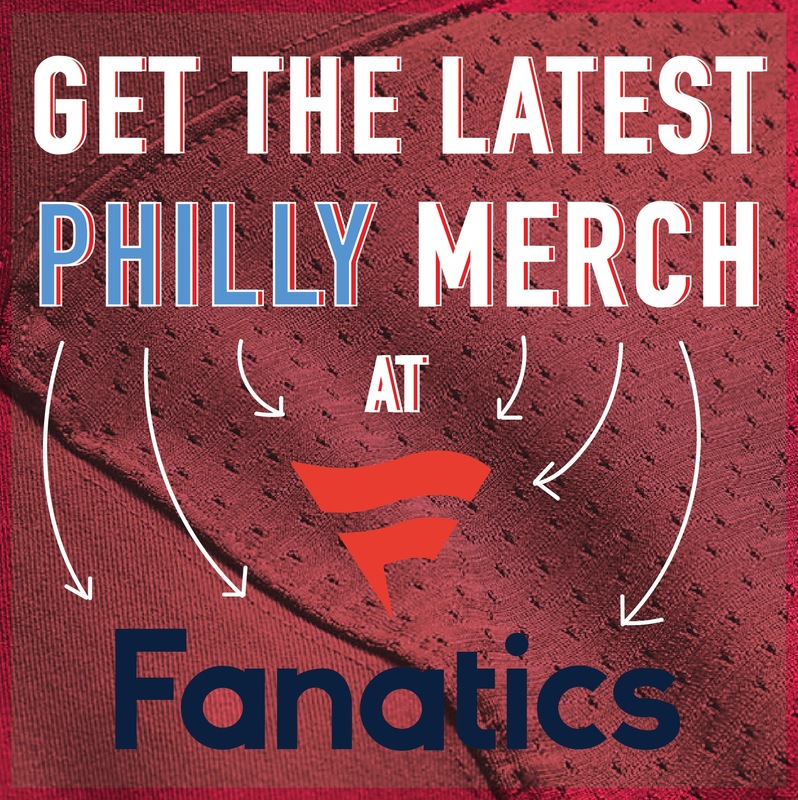 Conveniently located on South St, there will be plenty of options after the blowout as well. 9. 15th Annual Recovery Walks! Where: Great Plaza at Penn’s Landing, 101 S Columbus Blvd. 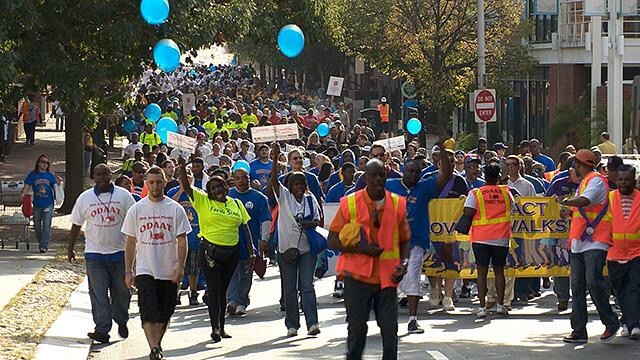 Last year over 25,000 supporters walked in the Pro-Act Recovery Walk. Starting at Penn’s Landing, this event promotes awareness and acceptance in the community. Wanting to wash away the stigma surrounding drug and alcohol addiction, this gathering fully embraces and appreciates the laboring steps each individual in recovery takes. The celebration of communal unity has been a social pillar in the city for years. 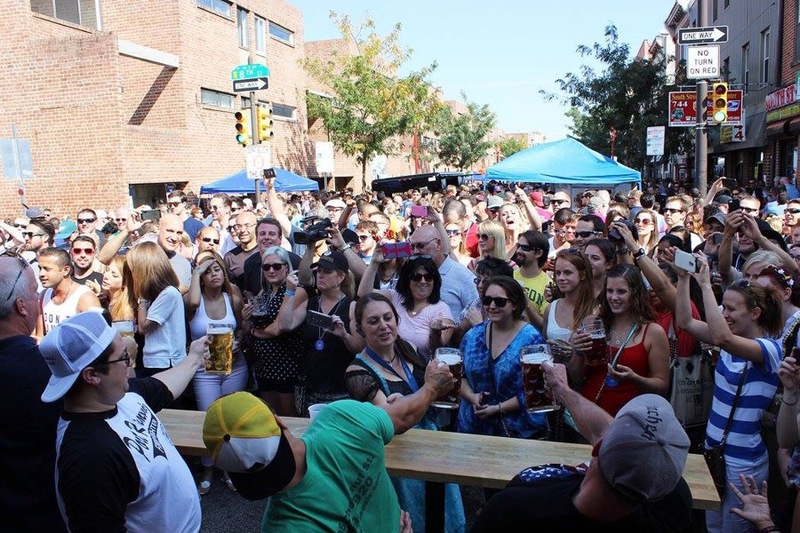 Fette Sau and Frankford Hall collaborate this Saturday to bring Oktoberfest 2016 to Fishtown. There will be frankfurters, bratwurst, Bavarian pretzels, and more German food. The ethnic beer centered festival will have dancers, a great lineup of beers, DJs, live music, games, prizes, and more. Local pours including Grapefruit Hefeweizen, Paulaner Oktoberfest, Hofbrau Dunkel Lager, and several others will be available for all who attend. Where: Brauhaus Schmitz, 718 S Street. 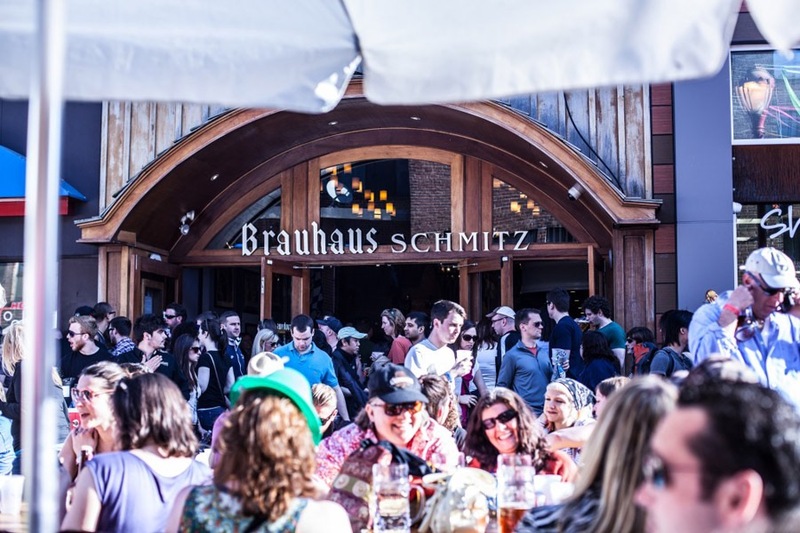 This event takes place in front of Brauhaus Schmitz; the 8th annual Oktoberfest is one of the main welcoming events of the fall. There will be a Bavarian buffet, face painting, festive dancers, many drink options, and other fun activities. Live cultural music will provide the soundtrack to this outdoor, entertaining, and exciting beer celebration. Brauhaus Oktoberfest also has several other scheduled events to populate your day with this weekend. 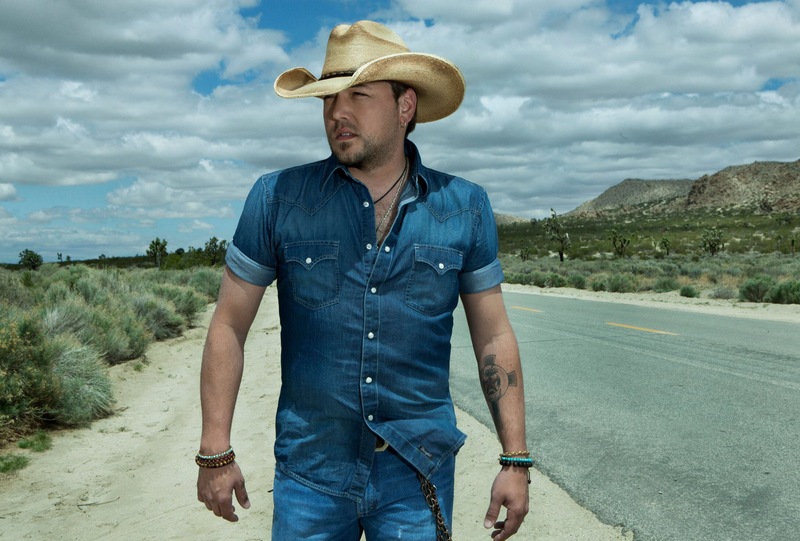 Not just followed by Philadelphia Eagles’ rookie quarterback Carson Wentz, Jason Aldean is mega and massive country music star. This Saturday, he brings his “Six String Circus Tour” to the Camden waterfront. The tour supports his 2016 album release They Don’t Know, an album which, lead single “Lights Come On” reached number one on the Billboard Country Airplay chart. Paired with “T-Shirt” singer Thomas Rhett as his opening act, Aldean’s show will bring lots of excitement to the Delaware River bank this weekend. Where: The African-American Museum, 701 Arch St. The African-American Museum in Philadelphia will be screening this film festival lauded project, They Are We. The celebrated documentary tells the story of a central Afro-Cuban village’s journey of reunion, reclamation of identity and culture, and perseverance over a century of strife. Torn apart by war and trade, the heritage of the small group still remained within the collective of these proud souls and people. Tickets are $7 and $5 of AAMP members. 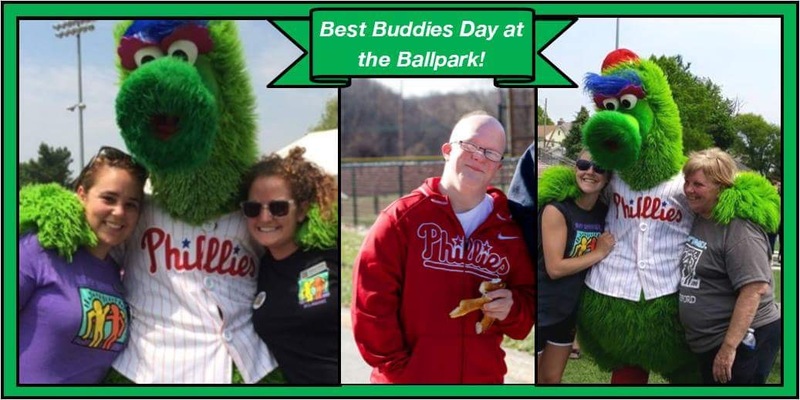 Best Buddies PA (BBPA) has joined forces with the Philadelphia Phillies to host a Best Buddies Day when the Phillies take on the Marlins this Sunday. With a portion of your $17 ticket going to BBPA, the event promotes integrated employment, development, friendship, and global volunteering with individuals with intellectual and developmental disabilities (IDD). Attendees will receive a free Best Buddies T-Shirt and will be welcomed at a McFadden’s event after the game with food and drink specials. Where: Great Plaza at Penn’s Plaza, 101 S Columbus Blvd. September 18th is Mexican Independence Day. 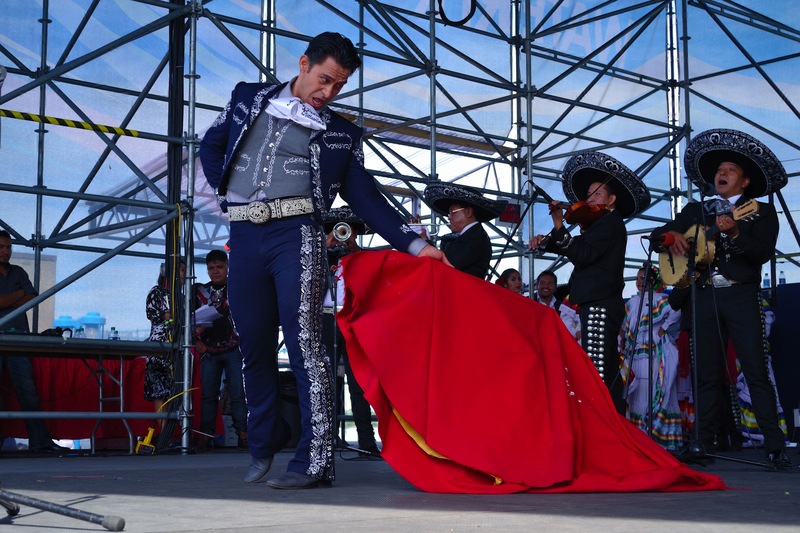 To recognize and celebrate the holiday, PECO Multicultural Series will be hosting a Mexican Independence Day Festival at Penn’s Landing. There will be authentic cuisine, dancing, live music and bands, games, and more. The event will also has an assortment of crafts, giveaways, and face painting. Come and celebrate at this culturally eclectic and popular event. 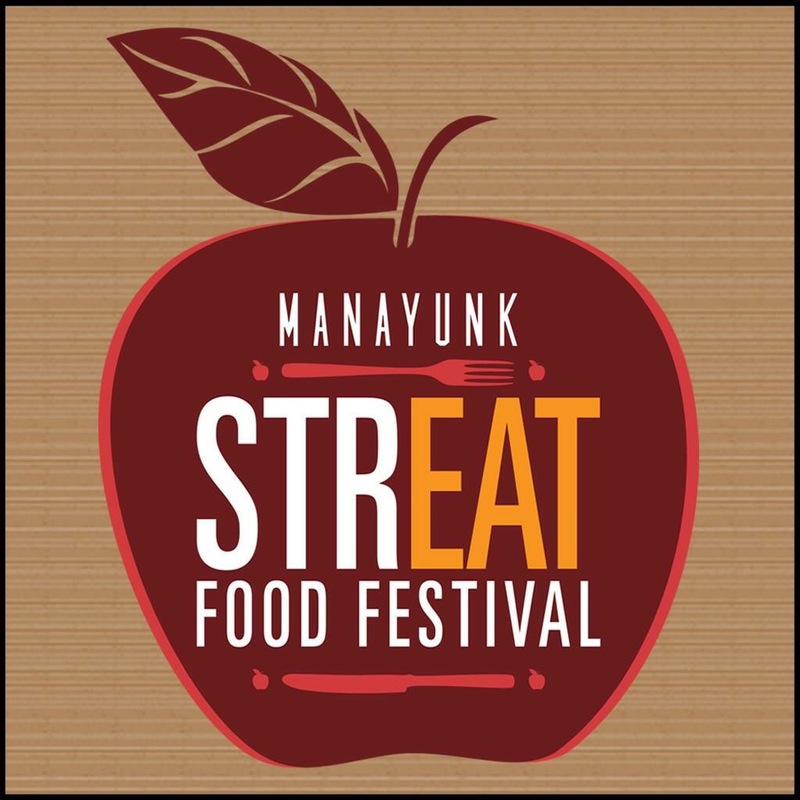 Over 50 of Philadelphia’s best food trucks with be assembled in Manayunk for this can’t-miss and highly anticipated food festival. Participating vendors with be selling bright spots off their menus, homemade essentials, and plump produce. The highlighting ingredient for the vendors’ dishes will be apples. On top of the massive amount of food available to you, local merchants along Main Street will also be open for business. 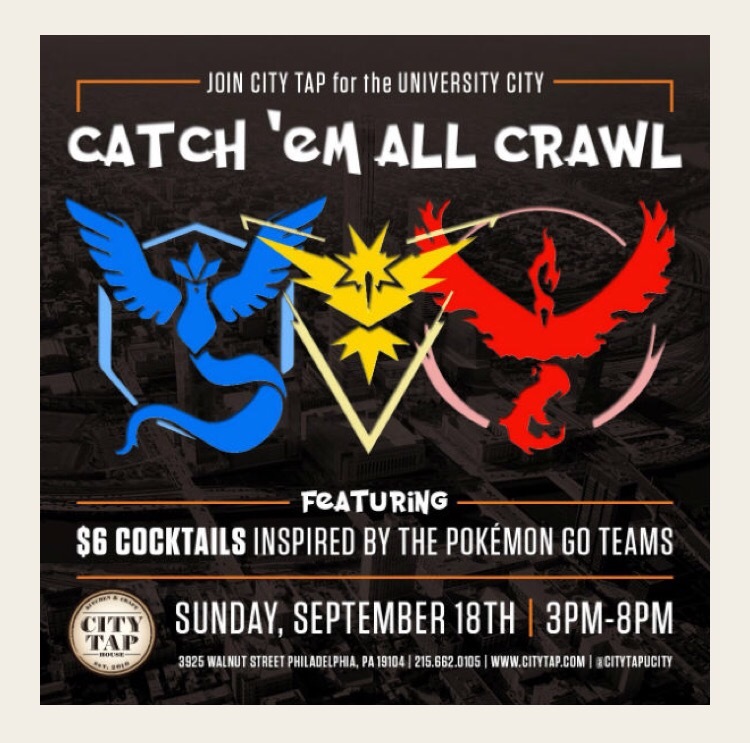 Where: City Tap House, 3925 Walnut St.
City Tap House in University City, will be hosting a Pokémon bar crawl this Sunday, September 18th. Transportation from bar to bar will be provided by a trolley. Participating bars include Landmark Americana, Distro, Han Dynasty, Cozara, Baby Blues, Smokey Joe’s, Wahoo’s, and of course City Tap House. Tickets are only $5 and there will be signature cocktails for this exciting crawl. Where: Festival Pier at Penn’s Landing, 601 N Colunbus Blvd. The last installment in the Radio 104.5 Summer Block Party five-part series concludes this Sunday. During the summer, this free concert extravaganza has drawn thousands to the Festival Pier to hear many of their favorite bands. 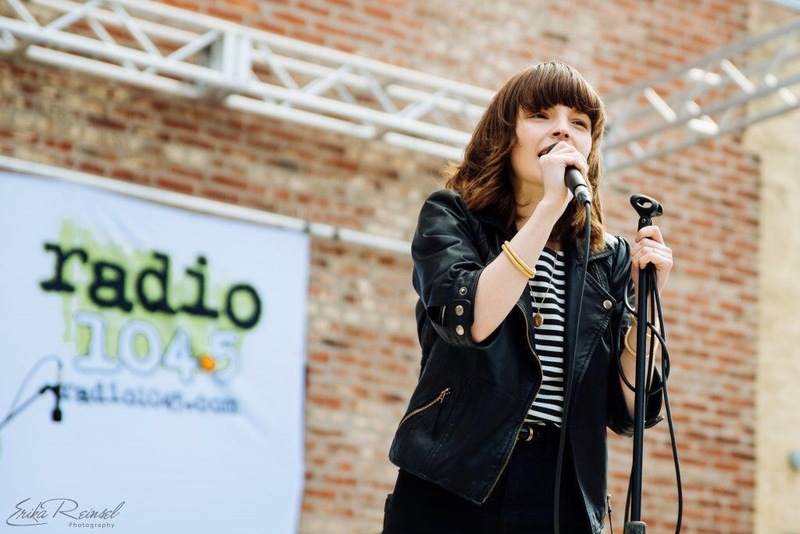 This Sunday’s lineup includes Chvrches, Miike Snow, Iration, The Griswolds, and Andorra. There will be drink distributors and plenty food options at this outdoor musical jamboree.